Used to be walking into a car dealership was like going into battle. In one corner: you, the potential buyer, armed with all the knowledge your one gearhead friend could rattle off over a beer last weekend. In the other: them, the dealers, armed with discounts, jargon and expertly veiled subterfuge meant to sell a car, any car. Admittedly, Porsche has generally been more above board (it comes with the $100K territory). 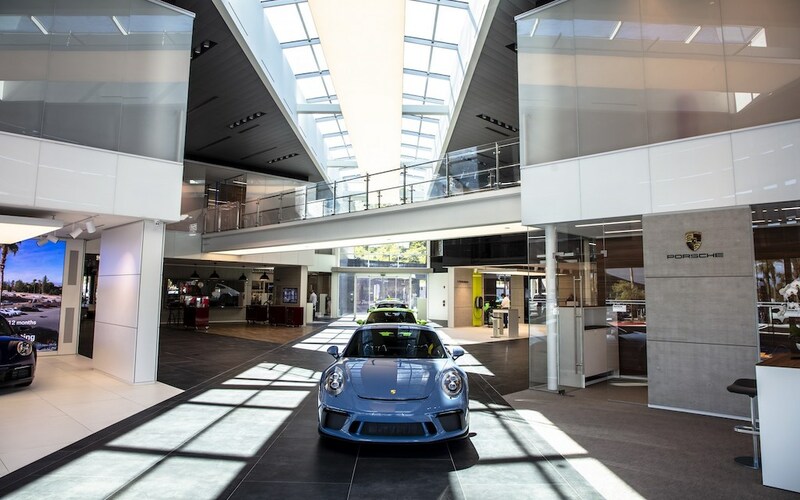 Even so, the marque is taking it upon itself to completely rethink the dealership experience, beginning with Porsche Palm Springs, which reopened on March 15th as the first prototype of a new concept called Destination Porsche. 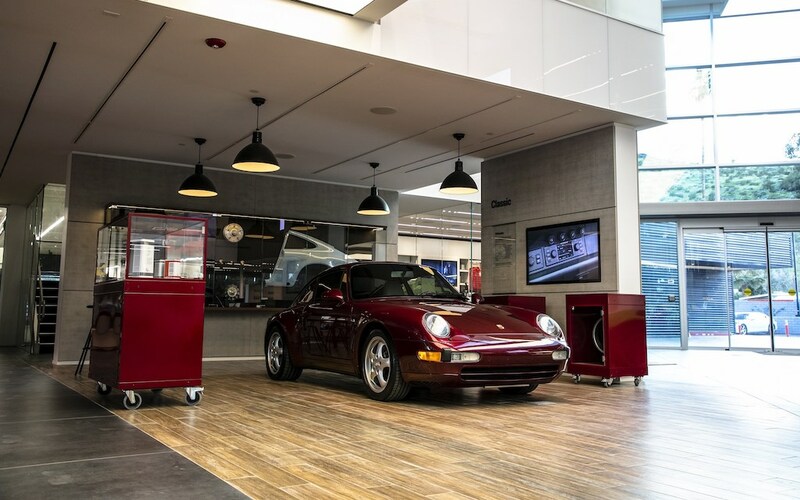 Instead of competing with traditional dealerships, Destination Porsche is meant to feel like “a Four Seasons Hotel, Hermès boutique, Apple Store” or “Disneyland.” That’s according to Todd Blue, CEO of the Porsche Palm Spring’s parent company indiGO Auto Group, who recently spoke to Entrepreneur for the magazine’s extensive first look at the redesign. The press release makes explicit that this is Porsche’s way of dealing with changing consumer preferences. For one, thanks to disruptors like Tesla, car buying is shifting to the internet faster than traditional automakers can pivot. On the other hand, dues-paying hangouts like Arizona’s Otto Car Club and New York’s Classic Car Club are attracting exactly the type of enthusiasts that high-end marques are interested in. With Destination Porsche, the Germans are looking to kill two birds with one stone. Two more “final concept” outposts are underway in Dortmund, Germany and Hangzhou, China. 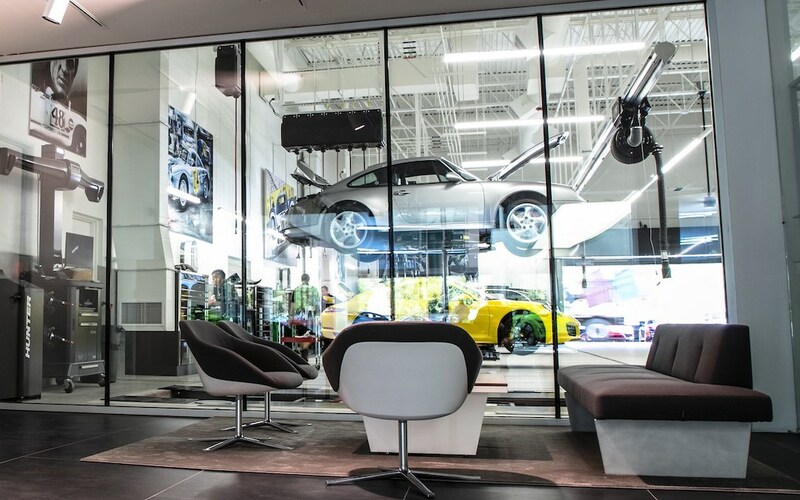 Other locations haven’t been announced, so if you want to experience the future of Porsche firsthand, make a pit stop next time you’re in Southern California.